2013 is almost wrapped up. The end of the year inevitably has me thinking back on occurrences and accomplishments of the past 365 days and looking ahead to the next 365 days. Part of the reminiscing includes reviewing my photos from 2013 including my own family photos, a tradition that I love completing at the end of each year. The better photos, the highlights, I put together in a book layout and have it printed into our family yearbook. This is the 6th year that I will have done this and we all enjoy opening the other books and looking back over the past. Each family member has their own short 2–3 page section with portraits and text giving an overview of their year. The rest of the book is a made up of family photos from the year. Yesterday I set up a 2-flash mini-studio in the kitchen to make some headshots for this year’s book. I plan on putting 4 headshots of each kid into a grid to open up their personal section of the book. I gave the kids free-reign over their expressions, and naturally, but not unexpectedly, things got silly. 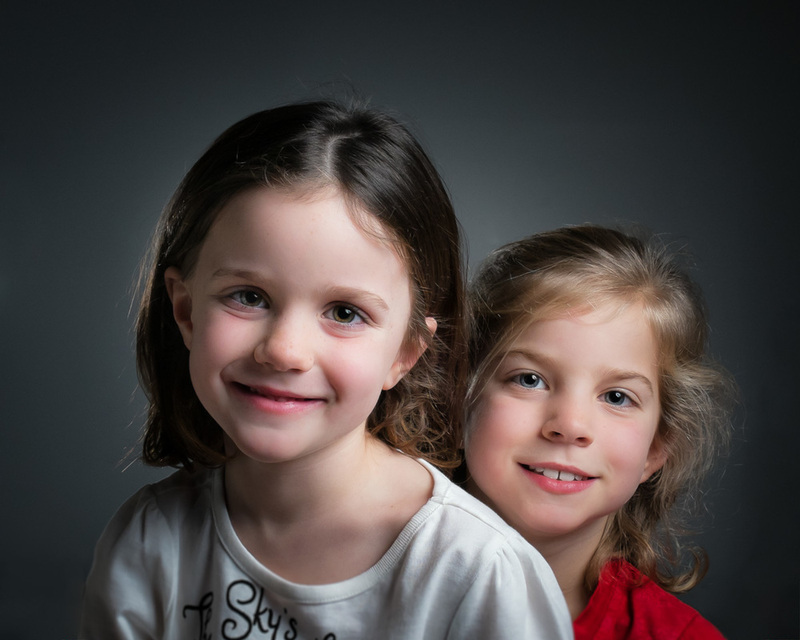 But amongst the silliness there were also some quieter moments, like the image below of my girls. My son was even kind enough to take photos of a tender moment between me and my wife.